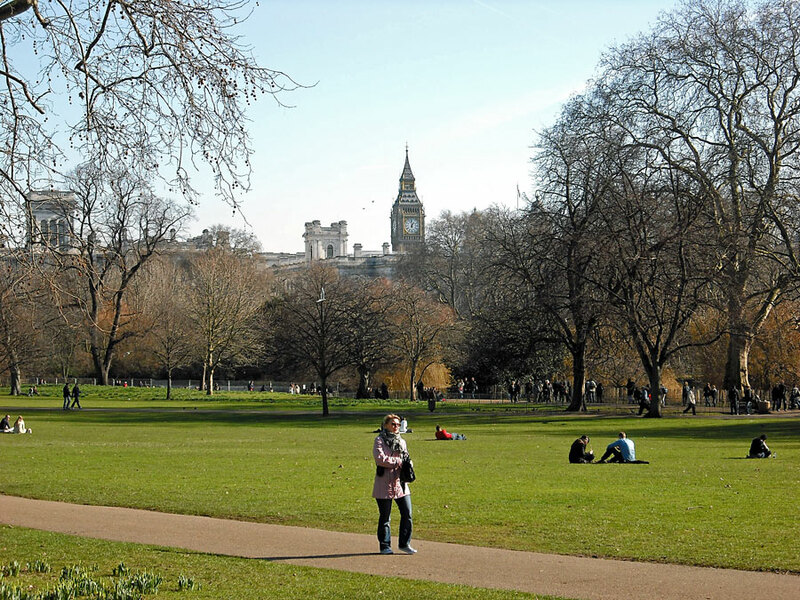 Walking along The Mall (which we entered via Admiralty Arch) towards the Buckingham Palace, we leave the lovely St James Park on our left. Even in February, on a warm day, you’ll find people basking in the sun here. Imagine what it looks like on a balmy summer weekend (yes, those do happen occasionally even in England).